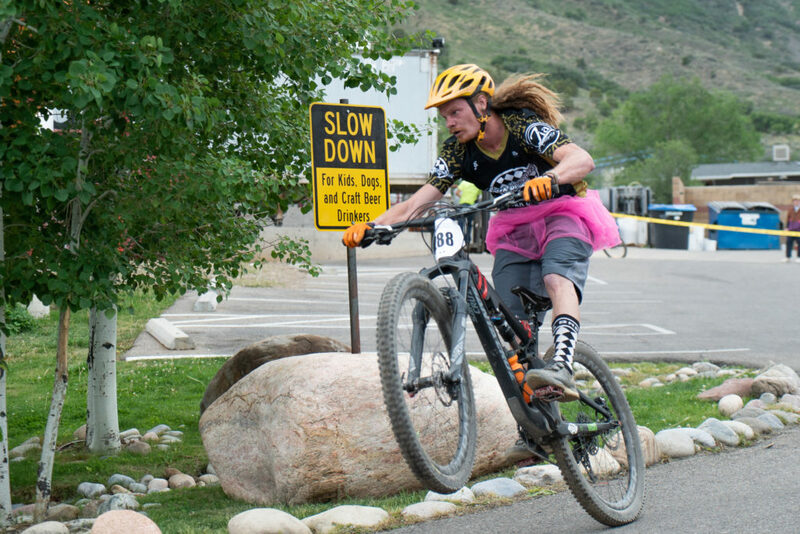 How the Zia/Ska/Trek Mountain Bike Race Team in Durango, Colorado embraces the finer things in life. On a still summer night in the foothills above Durango, Colorado, a mountain biker comes careening down a swinging ribbon of single track. Their form is textbook, eyes peering and focused. The hum of their tires fades as they glide by, floating with the rhythm of the trail. 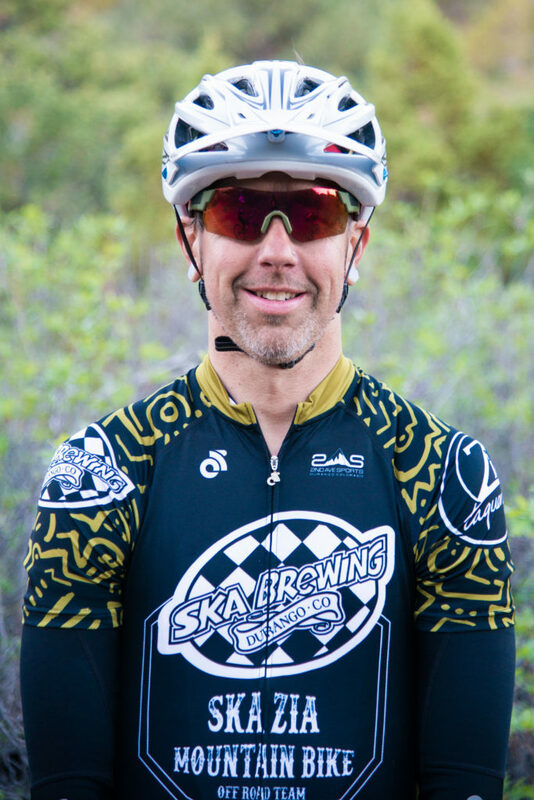 Meet members of the Ska Zia Trek Mountain Bike Race Team. It was 20-year-old Lacy Andersen. And just like that, she’s gone. Nothing but a cloud of dust and swaying branches. Andersen is the newest member of the Team and ever since she started riding with them, she’s gotten faster. That dirt biking shows, and those rad people are her family, peers and older cyclists that took an interest in her blatant talents in the saddle. People like Nick Gould, Brittany and Phil Cowan, Grady James, Sarah Tescher, Miles Venzara and others. Mentors. Coaches. And die-hard mountain bikers. 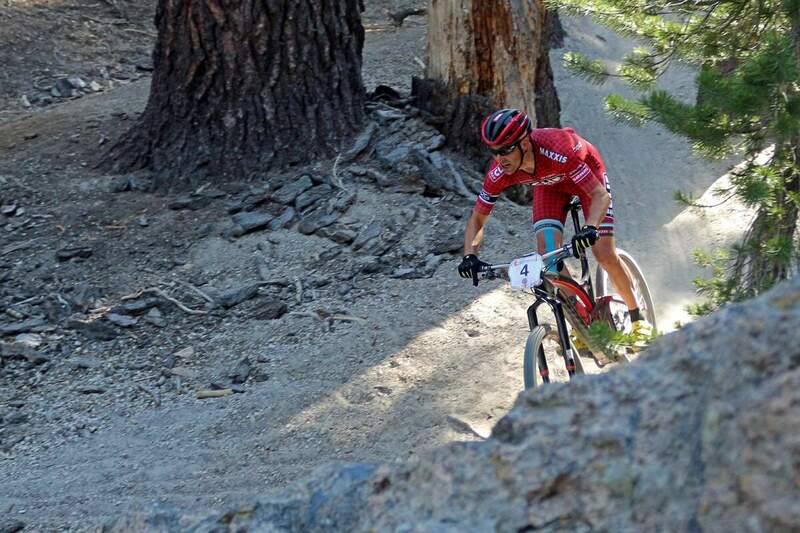 That’s what the Durango Ska Zia Trek Mountain Bike Race Team does. They find promising riders and bring them up. Some go on to professional careers, some stay involved and keep giving back. 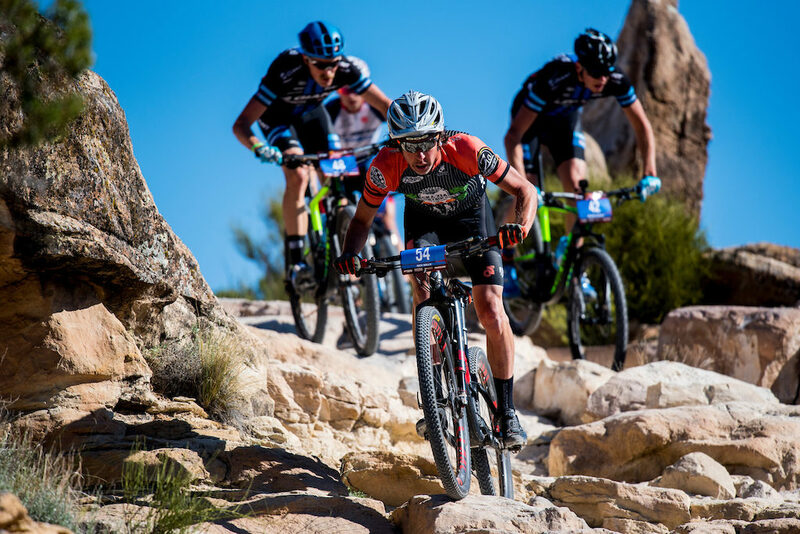 With this team, it’s not all or nothing, it’s more along the lines of elite cyclists that enjoy mentoring young riders as much as they love crushing trails. Their mantra is simple: bikes, beer and burritos. 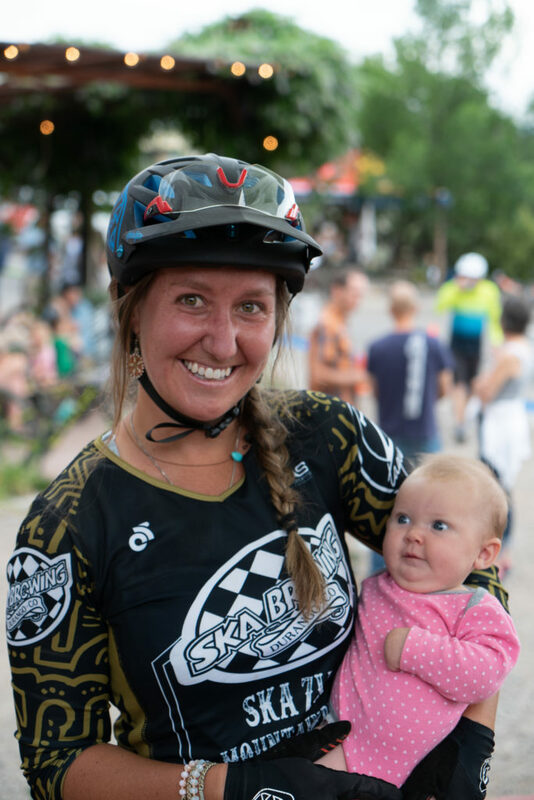 With support from Ska Brewing, a wildly popular craft brewery in Durango; Zia Taqueria, one of the busiest locally sourced food establishments in the southwestern town, and Trek Bicycles, one of the largest makers of mountain bikes on the planet, the team has earned their place in the volumes of mountain bike lore. Team manager Nick Gould, an accomplished rider on and off-road, says it comes down to helping others. 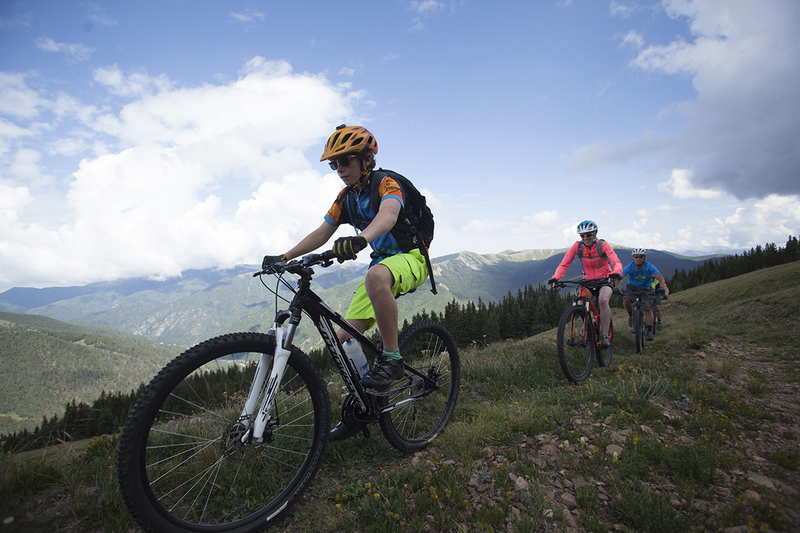 In Durango and other cycling savvy communities, there is strong provision for developing cyclists; but beyond it can be harder for riders to find support. 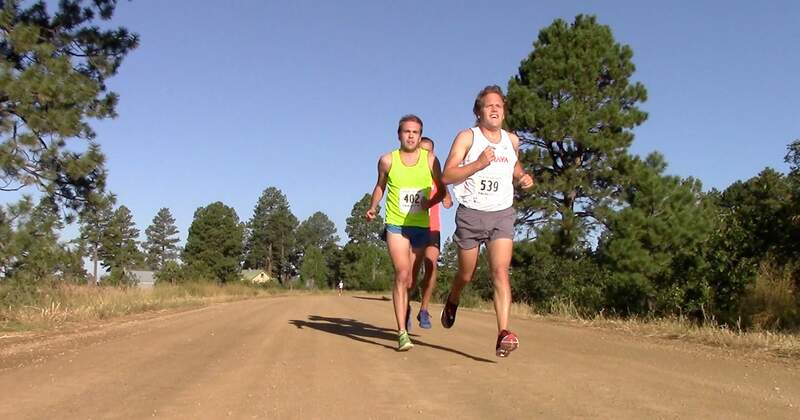 A week after chasing Gould, Andersen and teammates Phil Cowan and Grady James on their home turf trails in Durango – and eating their dust – we caught them and a good cross section of the local cycling community at one of the team’s annual Town Series events: a short track race through a brewery. Brittany Cowan was taking care of racer registration, and her two children. Moments later and Cowan is in her riding kit, rolling up to the startling line. It’s pretty clear that parenthood hasn’t slowed them down. Every year a curious crowd forms at the brewery’s loading docks, where an arrangement of cascading pallets form a staircase that riders must descend to exit the building. Luke LeMaire, of Ska Brewing World Headquarters, one of the team’s title sponsors and event host, explodes into the daylight by riding a wheelie down the entire thing. The crowd loves it. 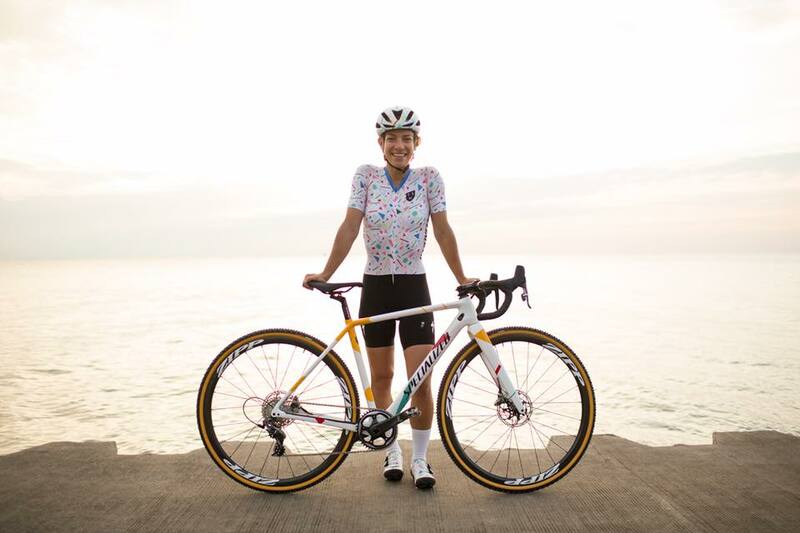 “I love to race seriously but having fun is my main goal,” LeMaire said. 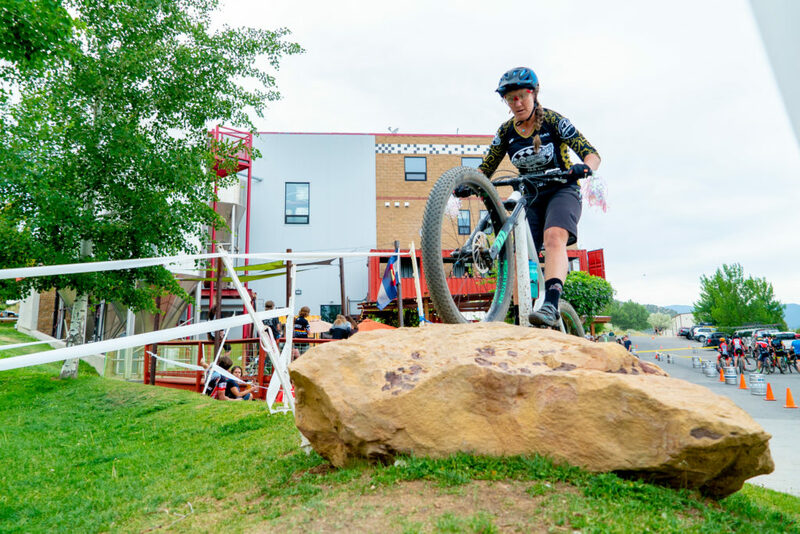 LeMaire coaches the downhill team at Fort Lewis College, a school with a pedigree of collegiate cycling national championships. LeMaire keeps it light. His wild red hair and pink tutu- a statement in support of suicide awareness – tells you this guy doesn’t care what anyone thinks. He just wants to ride – hard. 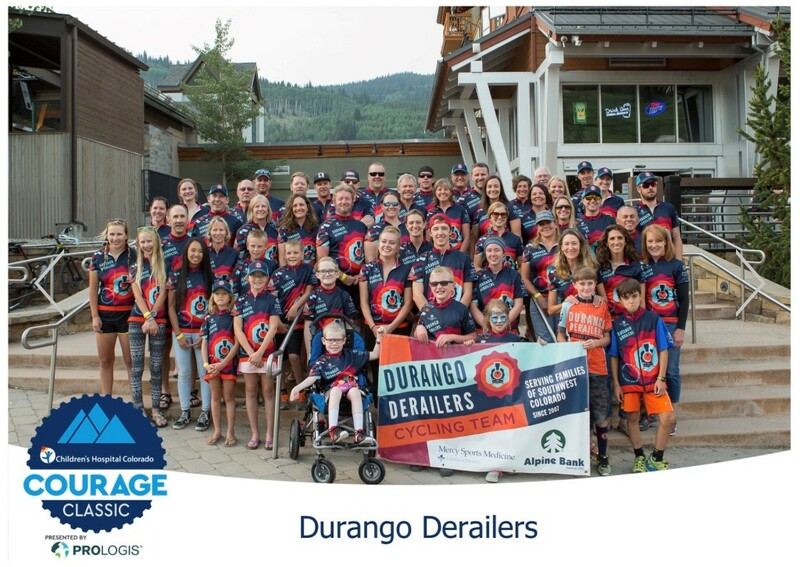 For more information of the Ska Zia Trek MTB Race Team, visit durangodevo.com or check out their Instagram.